Odd Future members Mellowhype, which consist of Hodgy Beats on the microphone and Left Brain on the beats, and fellow OF Frank Ocean get together ..
To coincide with the Odd Future's recent announcement of upcoming projects from Domo Genesis, Odd Future Records signees Trash Talk, Tyler, ..
Looks like MellowHigh (Hodgy Beats, Left Brain & Domo Genesis) find themselves all involved on this track entitled "LIFT,", featuring .. 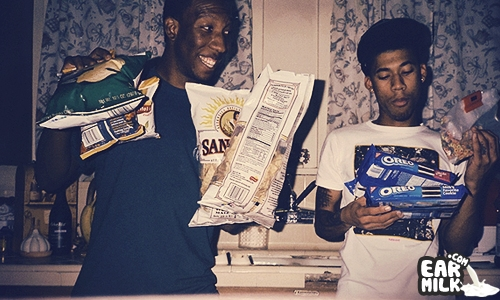 The Odd Future affiliates known as MellowHype have just released a new track via Hodgys' Tumblr. I assume this will be featured on their upcoming ..